Meticulous research has gone into this letter opener. 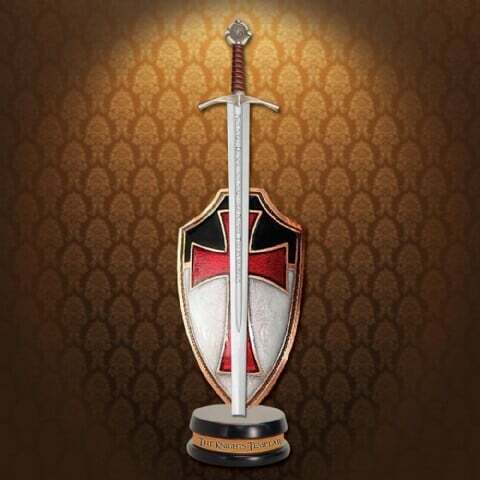 Design associated with the Knights Templar, one of the most well known military orders of all time. Beautiful and epic miniature sword letter opener. Stand includes an enameled shield adorned with the coat of arms of the Templars on both sides. Allows the stand to displayed on both sides. All metal construction on a wood base.